When we think about business growth, we often think in terms of profit and financial growth the organization has made than in terms of leadership that the company has acquired. Leadership is essential for any business to sustain success and a great leader can make a difference. Various experts in human resource claim that an organization requires leadership not just on the top, but in every department and at all levels. 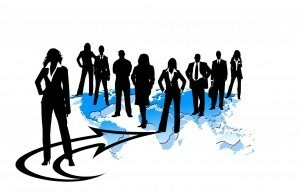 However, finding so many leaders and getting them onboard is quite a challenge and sometimes impossible because it’s hard to find individuals that have inbuilt leadership skills and therefore it is the task of the managers to prepare selected employees from within the organization and develop them into the future leaders of the company. In 2008, IBM Global Human Capital Study, more than 75% of the respondents identified building leadership talent as their current and most significant capabilities challenge. The overall talent shortage has also led to challenges in leadership development and the Global Taleo Research survey clearly indicated that 80% of the respondents stated that talent shortages were hindering their leadership development efforts. So, when you are preparing your employees to become the future leaders there are certain things that you need to consider to make things right. Every organization has a unique set of cultures and values and if you don’t consider that you end up choosing the wrong people to become the future CEO. Future leaders not just have to have great leadership skills, but also they should be a great organizational fit. To understand which employee is a better fit to become the future leader you can offer a psychometric assessment that is linked to current and future success in leadership roles. You may also ask the people in the organization on what according to them makes an effective leader within the organization. When you find answers that are very different from the organization culture, you must prepare yourself to find a better candidate that fits your organization’s requirements and culture. Candidates with leadership skills can be found both internally and externally. However, companies must compare the cost and time for leadership development both internally and externally and choose the best option. To identify the current and potential leaders in the company competence models and psychometric assessment can be used that focuses the strengths and weaknesses of the candidates. One of the key advantages of leadership development within the organization is that such leaders achieve productivity 50% faster than external candidates since they are well aware of the internal policies and organizational structure. Leadership development also involves looking at the leadership gaps and identifying current leaders who may be at risk of leaving or have gaps in their skills and the time required to fill those gaps. This can be identified using psychometric assessment that can reveal more about the areas of improvement and how much time candidates require acquiring new leadership skills to fill up those gaps. You may also want to look at your leadership pipeline and compare it with the current leadership team and identify candidates that can turn into bright prospects in the future. Success plans are critical to ensuring there are no disruption and employee issues when the top leadership moves out of the company. At times, the departure of the top leaders is not anticipated and that means the organization has to come up with succession plans that make sense. Leadership development also includes developing a succession plan which includes executing succession management practices across all levels of the organization. Coaching and mentoring also becomes a part of the succession plan supported by technology. Succession planning and leadership development go hand in hand because they share a fundamental goal and that is to get the right skills in the right place. Workers today are looking for more than a job and therefore they move to the next best job that can allow them better organizational opportunities and advancements. While career planning is thought to be the responsibility of an individual, companies have to support their employees with it to retain talent. If the companies do not offer their workers with job opportunities, their competitors will. As a part of the leadership development, companies must empower their employees with a better career plan to retain, engage and protect their leadership pipeline. People develop and learn new skills when they are on the job, both internally and externally. However, before that is done it is important to understand the competencies and drawbacks of an individual. Using psychometric assessment, employers can understand candidates in a better way and develop a roadmap for leadership skills. It would also include challenging the candidates with unfamiliar jobs and allowing them to learn valuable lessons through failure. It also includes creating mentoring programs where employees are paired with their senior employees and let them tap the experience and expertise of the senior workers. Retaining the talent within the company is a tough job and when you are focusing on leadership development you also have to ensure that the best talent in the company stays in the company. There are monetary and non-monetary ways to improve the retention of any employee, but the main motive is to encourage and motivate leaders to keep moving further and drive optimum business performance. While not every candidate that you have selected will have what it takes to become a leader, but with the right psychometric assessment, you can evaluate the leadership skills that they possess. Leadership development is not just about finding the right candidates, but also about increasing retention and ensuring the future leaders have talent that aligns with corporate goals and the vision of the company. Hence, a well-designed leadership development program is the one wherein right candidates are identified, retained, trained and are provided with the right roadmap to take responsibilities in the near future to deliver optimum output and performance.